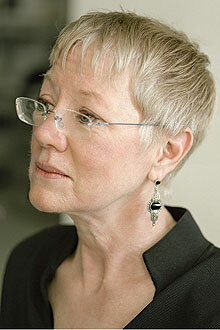 Poet Linda Gregerson's works have appeared in "The Best American Poetry" series as well as The New Yorker, The Atlantic Monthly and The Paris Review. Award-winning poet Linda Gregerson will give a reading at 6 p.m. Thursday, March 22 at the Robert W. Woodruff Library on the Emory University campus. The event is free and open to the public. Gregerson's poems have appeared in "The Best American Poetry" series as well as The New Yorker, The Atlantic Monthly and The Paris Review, among others. She is a distinguished professor at the University of Michigan, where she teaches creative writing and Renaissance literature. "Her poetry is lyrical and philosophical and historical, ranging across different ideas and different musics. She has a lot of different registers in one poem," says Kevin Young, curator of literary collections and the Raymond Danowski Poetry Library at the Manuscript, Archives, and Rare Book Library (MARBL). "She's also able to write about difficult things in both a personal and a public way, things like the world and its troubles in ways that represent them but also offer remedies," he adds. The reading will take place in the Jones Room on Level 3 of the Woodruff Library, 540 Asbury Cir., Atlanta, GA 30322. A selection of books and a limited-edition broadside will be available for purchase and signing at the reading. Light refreshments will be served following the reading. The event is part of the Raymond Danowski Poetry Library Reading Series, sponsored by MARBL, the Hightower Fund and Emory's Creative Writing Program. For more information, call 404-727-6887 or e-mail marbl@emory.edu. Parking is available in the Fishburne deck. Poet Linda Gregerson, composer and singer Susan Botti and Atlanta Symphony Orchestra's music director Robert Spano discuss the lyric in music. Botti's original chamber work "Gates of Silence" is based on the lyrical poetry of Virgil's "Aeneid" and Gregerson's Pushcart Prize-winning "Dido Refuses to Speak." The conversation is moderated by Richard Prior, director of orchestral studies, Emory University Department of Music. Free and open to the public.